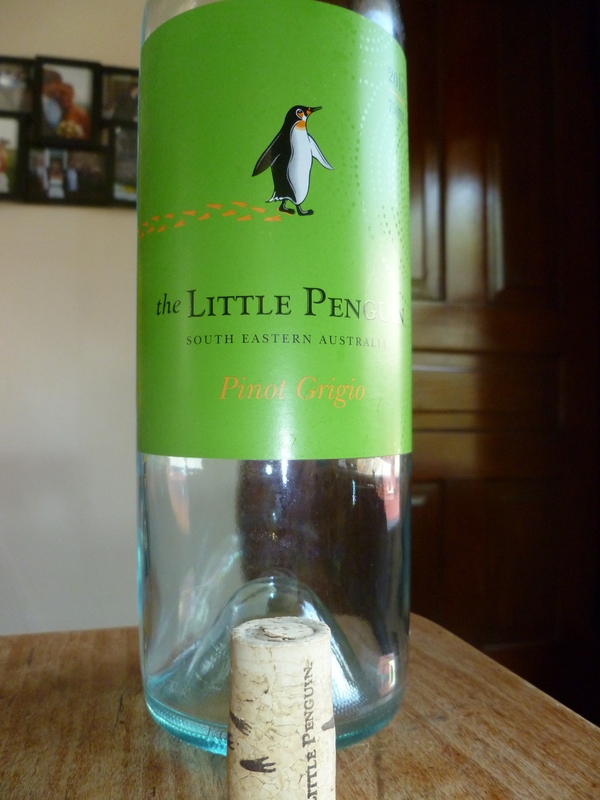 Last night, we had my butternut squash risotto for dinner and decided to pair it with a bottle of the 2010 Little Penguin Pinot grigio from Southern Australia (the label has changed from the one they use on the website). The bottle was a gift for the party on Friday. Note the cute cork print. 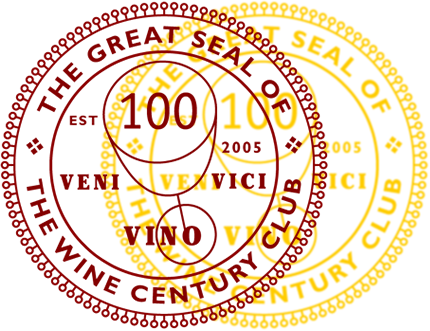 I love it when winemakers find ways to make their corks stand out! Now, I am usually not an overly big fan of white wines from the Southern hemisphere. They tend to be too alcoholic for my taste (a result of the high amounts of sunshine they get: more sunshine, more sugar in the grape. And since sugar is turned into alcohol by the yeast, if you have lots of sugar and want to produce a dry wine, you often end up with high alcohol content). This one was not bad, though. It was somewhat unimpressive, but that is what I often find pinot grigios to be anyway. It was quite refreshing, and the citrus notes went very well with the sweetness of the squash risotto. I think the penguin can be good company with sweeter foods. The still-attached price tag reads $9.99, which I would consider too much for this wine. 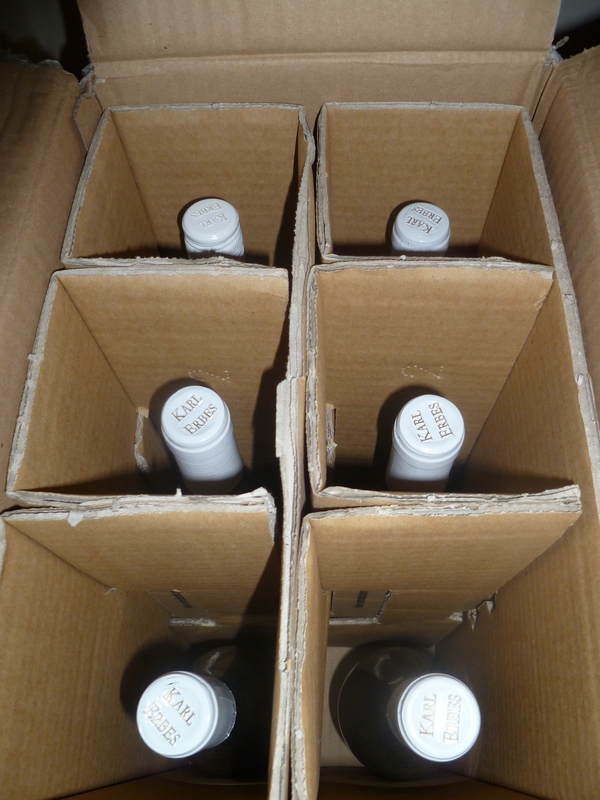 In better news, we received a box of six wines from my good friend Stefan Erbes (you can see him here) of Karl Erbes winery in Uerzig. Stefan and I became quick friends over a winetasting at his estate, and when a German friend offered to bring wine back for us from a recent trip, Stefan sent him a box of 2011s for us to try. I am really excited about this!! I am even more excited to be visiting his estate in June, when Nina and I will be in Germany. We’ve just visited Insel Reichenau and bought some bottles of very nice Pinot Grigio. Tanti saluti e buona vita…..
Antonia, carissima, e grazie tanti! I just replied to a friend’s facebook status that she loved Ticino (and after visiting has a more favorable view of Switzerland): “Ma che non vuole vivere in Ticino?” And had to think of you.